Category Archives: I Love Cemeteries! I love cemeteries. I really, really love them. Always have. I’m not exaggerating. And just like love, the way I feel about cemeteries is a little bit non-rational. The mere sight of a cemetery gives me a little endorphin hit. It’s a strange wave of warm, reassuring comfort. Usually followed by screeching brakes and spinning tires on gravel as I careen off to the side of the road for a closer look. There are two cemeteries in my novel Apparition. One of them is in town, and it’s where both Amelia’s friend Matthew, and Amelia’s mother who died a few years before, are buried. The other cemetery is a small old country cemetery at a crossroads near 12th Line, where the ancestors of the family who build the Telford farmhouse are buried. And I think it’s the perfect setting for a surprise rendezvous between Amelia and Kip. 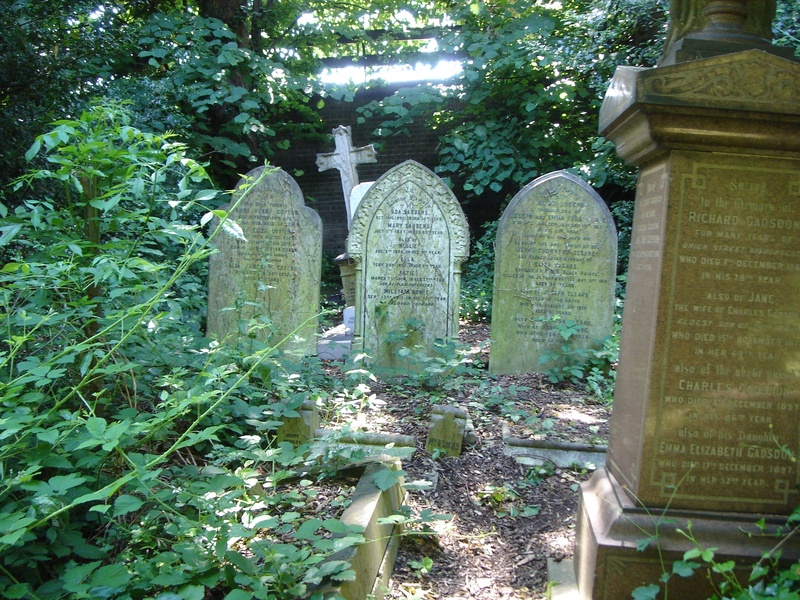 Cemeteries can be very romantic, a great place to meet someone special. Even though I love cemeteries, I’m not ‘dying’ to get into one. I don’t envy the dead. But visiting cemeteries does make me feel more comfortable about my inevitable death. Overall, it’s a positive experience. When I walk through a cemetery, I’m not thinking of the bodies in various states of decay under my feet. I’m not thinking particularly of their spirits either. I don’t immediately imagine all the ghosts that linger in the cemetery at night. I’m mostly thinking about the gravestones. I come by my interest in gravestones honestly. A gravestone is one of the very earliest images I can remember from my childhood. It was in our family photo album, a black and white photograph, really old, with a thin white scalloped border. A full-frame shot of a gravestone. It was one of those stones set flat on the ground to mark the spot of the burial. The name on the gravestone was “Gail Gallant”. Yeah, my name. It was the gravestone of my older sister, who died from complications after a bad car accident my parents had before I was born. I came along less than a year after her death and my parents gave me the same name, so I more or less saw myself as her, reincarnated. In a way, I saw the gravestone as mine. I love the look of gravestones because they remind me that every person buried in the ground once walked above ground just like us, and after they left, family and friends marked their passing on these stones. They wrote something. They chose their words. They had them chiseled into stone so they’d last. Maybe they cried at the burial. Maybe they visited the gravesite for years after. Maybe they planted flowers. Plastic flowers, even. Cemeteries feel like a silent and secluded space for all the people left behind every time another person dies. So in a strange but nice way, cemeteries radiate love as much as loss. Posted in I Love Cemeteries!